I’ve always loved working out, but it was this past year that I chose to invest and devote more time to expanding my knowledge of exercise from straight cardio to weights and calisthenics. Ever since, I’ve noticed a improvements with my body and strength. My biggest issue with exercising consistently is I am often traveling for work. 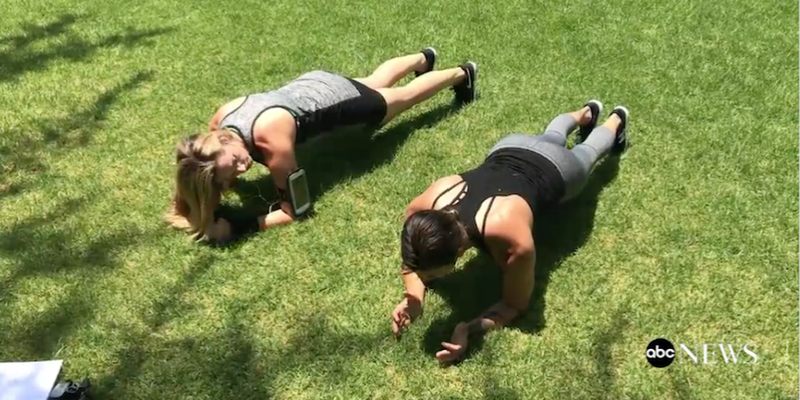 But I don’t want to let that stop me, so in this episode I learned some on-the-go moves you can do almost anywhere – from a hotel room to a park. Like with any form of working out, be careful and don’t do something if it hurts. Exercising helps me think. It clears my mind, it calms me down and it makes me happier. Just don’t forget to stretch so as to avoid injuries!